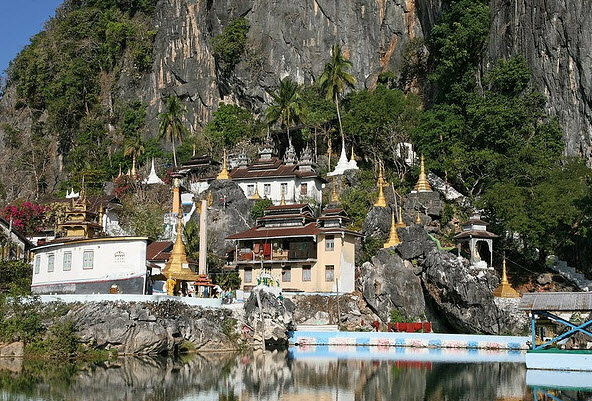 Taking in the awe-inspiring Golden Rock, the sublime karst landscape around Hpa-An, the historic city of Mawlamyine, and some off-the-beaten-track seldom-visited places, this trip takes in the diverse highlights south of Yangon, with an optional extra adventure, starting and ending in Yangon over 5 days. 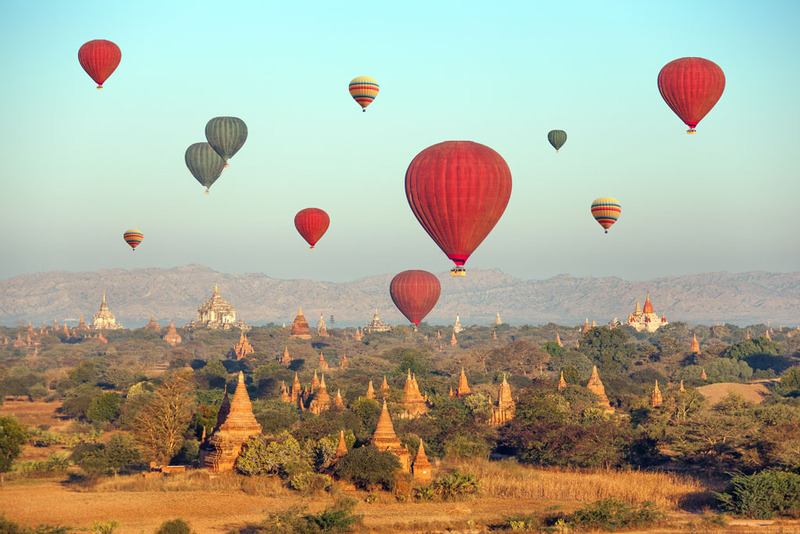 Get up early to witness sunrise on Myanmar’s most sacred site, and after breakfast, go down the mountain, and drive to green and leafy Thaton for lunch at an outdoor restaurant. Continue on towards the sublime karst landscape around Hpa’an with its iconic Mount ZweKabin, stopping at Kawgun cave, where tablets set into the cavern wall date to the 7th century, Afterwards visit the dramatic large cave and tunnel of Saddan, followed by a small boat through a low cave, and then watch the sunset from a vantage point by the lakeside KyaukKaLatt – an unusual rock formation surrounded by water. Stay Hpa’an. An early start is rewarded with views around Mount ZweKabin. 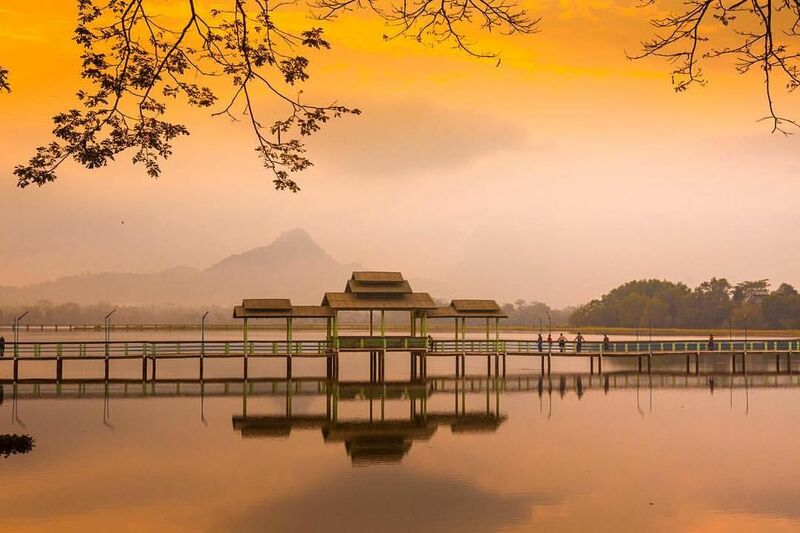 A boat trip down river along the Salween River through the rural landscape arrives at an isolated village famed for its carved wood interior and for being the home of a national hero of pro-Burma a century ago. 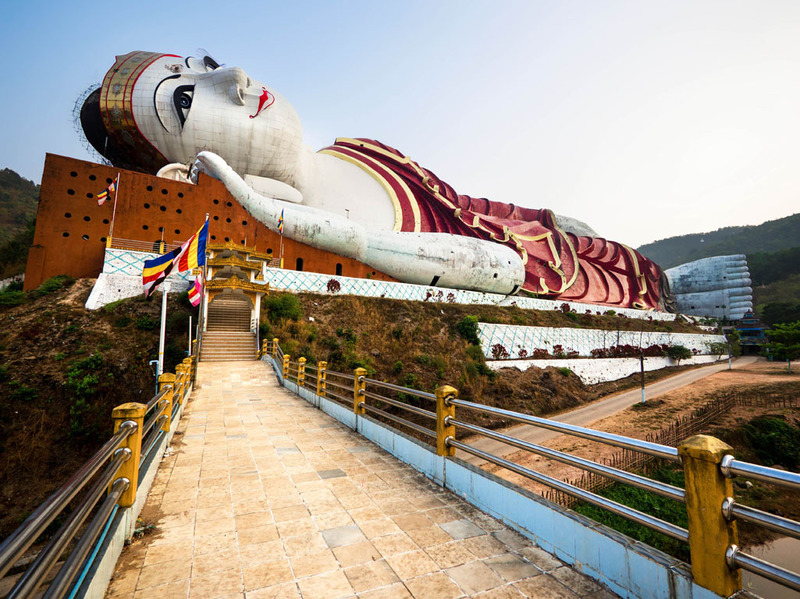 Head south first to visit a large 50m-high seated Buddha statue, and then the world’s largest reclining Buddha image, Win Sein Taw Ya, 180m long, before continuing onto to Thanbyuzayat, the western terminus of the infamous Death Railway linking Thailand and Burma during the Second World War. Its museum contains poignant stories of the suffering of Allied prisoners at the hands of the invading Japanese, while nearby the Thanbyuzayat War Cemetery commemorates those Commonwealth, Indian and Dutch soldiers who lost their lives. 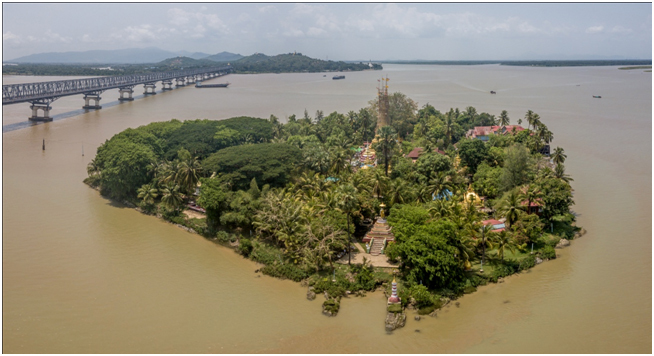 Return back to Mawlamyine, with its rich legacy from its past as a trading centre on the Salween River, including churches, mosques, and colonial buildings – writer George Orwell lived here almost a century ago. Then cross to the large Bilu (Ogre) island, known for its craftspeople making everything from tobacco pipes, chalk boards, rubber bands, ropes, walking sticks and hats with local wood, bamboo, rattan, slate, vines and rubber. Finish watching sunset by the river. Stay Mawlamyine. A travelling day covering 300km (6 hours traveling time), from Mawlamyine to Yangon. Take the 8am train from Mawlamyine crossing the Salween River, then drive along the main road north, stopping at a waterfall (in season), fruit vendors and at a garden cafe in Thaton. After lunch, drive to Bago, with option of taking the train for the final leg into central Yangon. Tour finishes in Yangon. On Day 2, as an optional extra, guests can go on a caving adventure to a secret cave system in the karst landscape. This involves a short boat trip, hiking across farmland, and then exploring a cave system in a seldom-visited area. A good level of fitness, agility and mobility is required, as well as sturdy shoes. Headlights will be provided, as well as protective gloves. The itinerary involves venturing into several cave systems, and climbing over rough terrain. Time for trip is around 4-5 hours. At the end of the adventure, guests go to Thaton, staying overnight in Thaton, before continuing the next day to Hpa’an.